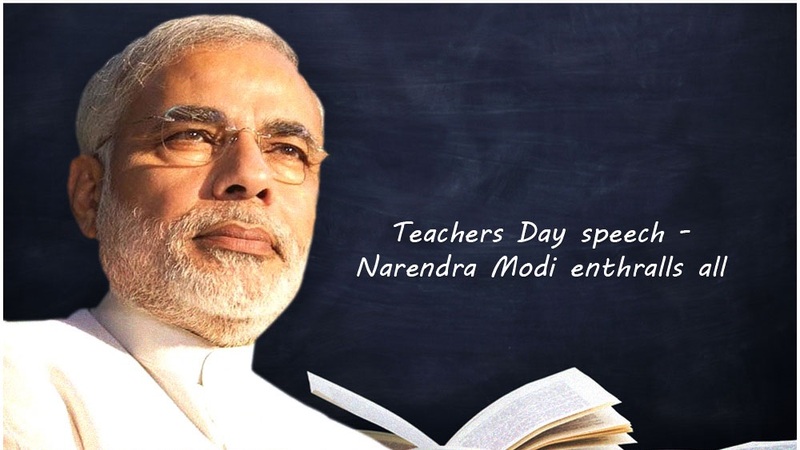 Watch Live : Pm Narender Modi Speech on Teacher’s Day with Students : Our Prime Minister Mr Narender Damodardas Modi is giving special speech live with students on the occasion of Teacher’s Day. The event is being organized today since both the festival Janmashtami and Teachers Day is coincidently felling on the same day. Teachers are considered the mentors, who not only guide a person academically, but also instill moral and ethical values in him/her. PM Modi’s address to students on Teachers’ Day last year was beamed live in over 18 lakh government and private schools in the country, with 1,000 students present at the venue. The PM is now interacting with students outside through the video conferencing mode, which is being broadcast live by Doordarshan and All India Radio. From our team wishing you All a very Happy Teacher’s Day.